Following the announcement, the two greeted voters in Prospect Park and canvassed the nearby neighborhood. 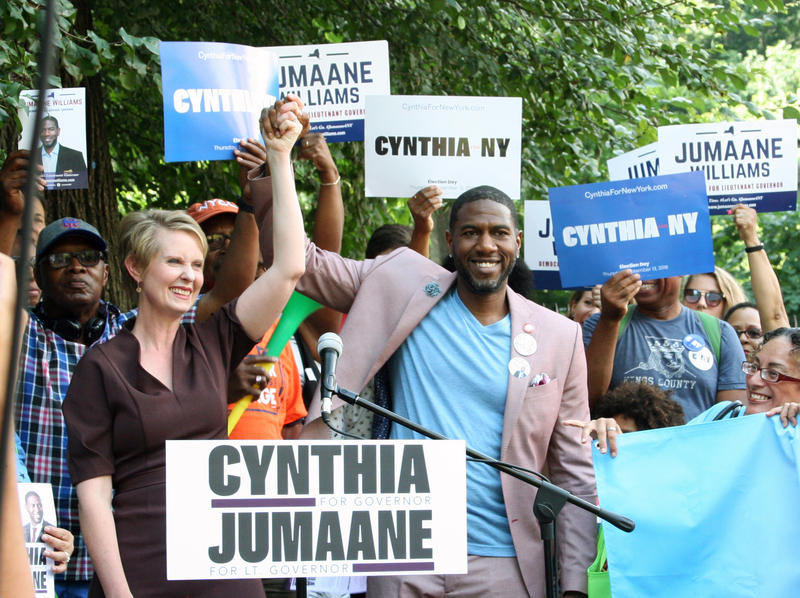 NEW YORK, NY — Democratic candidate for governor Cynthia Nixon today endorsed Jumaane Williams for New York State Lieutenant Governor. Williams also announced his endorsement of Nixon. Nixon and Williams are both running in the September 13th primary. This cross-endorsement adds to a growing group of insurgent candidates, running people-powered campaigns to take out centrist, establishment Democrats, coming together to make their coalitions even stronger. Cynthia has also cross-endorsed with Alexandria Ocasio-Cortez; Jessica Ramos, New York State Senate candidate in the 13th District; Julia Salazar, New York State Senate candidate in the 18th District; and Robert Jackson, New York State Senate candidate in the 31st District.